The scent of citrus spliced with a hint of marzipan makes Eastern Promise a tantalisingly zesty cocktail. 1. Grab a cocktail shaker and top it up with cubed ice. 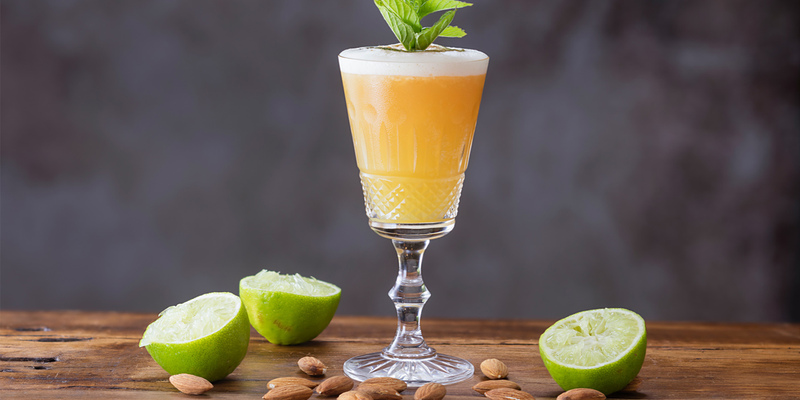 Pour in Ballantine’s 21 yo, fresh lime juice, orange curacao and orgeat syup. 3. Pour the cocktail into a port glass and strain. 5. Garnish with Dehydrated lime wheel and fresh mint. Intense and rich with a smooth spice An indulgent drink for celebrating a special occasion The rich, spiced flavour owes itself to the high proportion of Whiskies matured in European Oak casks. A warming blend of whiskies aged 21 years and over with an intense flavour that is truly impressive.